Defending champion Guaros de Lara (LPB) added to their roster 30-year old American swingman Rodney Green (196-95kg-88, college: La Salle). He played last summer at Olimpia in Paraguayan Metropolitan League. In 6 Liga Sudamericana games he recorded very impressive stats: 16.3ppg, 3.2rpg, 1.8apg and 1.5spg. 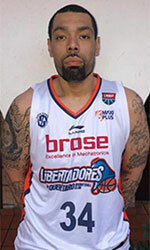 Green also played for Vaqueros (BSN) in Puerto Rican league where in 7 games he averaged 11.0ppg. The list of the past achievements is quite long as among others Green's team made it to the Italian Lega Due Semifinals in 2013. 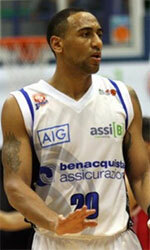 He was also voted NABC Division I All-District 4 1st Team back in 2010 at his college time. Green is quite experienced player. Thanks to his pro career he managed to play on three different continents (Europe, Latin America and of course North America) in seven different countries. Green has played previously professionally in Argentina (Lanus, Instituto and Olimpico de La Banda), France (JL Bourg), Hungary (Szolnok), Israel (Galil Gilboa), Poland (Wilki Morskie), Ukraine (Mykolaiv) and Italy (Novipiu Casale and FCM Ferentino). He attended La Salle University until 2010 and it will be his ninth season as a professional player.